This post is sponsored by Shamrock Farms. 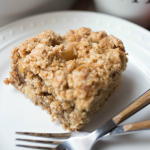 This Coffee and Donuts Bread Pudding combines two of your breakfast favorites in one delicious dish! Ahhh…coffee and donuts. Donuts and coffee. Does it get any better, friends? Two of my favorites smooshed together in one delicious dish. But I’m even more excited to tell you about one of ingredients I used: Shamrock Farms’ NEW Cold Brew Coffee and Milk! If you’re a coffee fan and live in the Phoenix, AZ area you MUST give it a try. 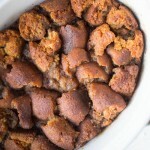 It’s so good and made this bread pudding so easy! 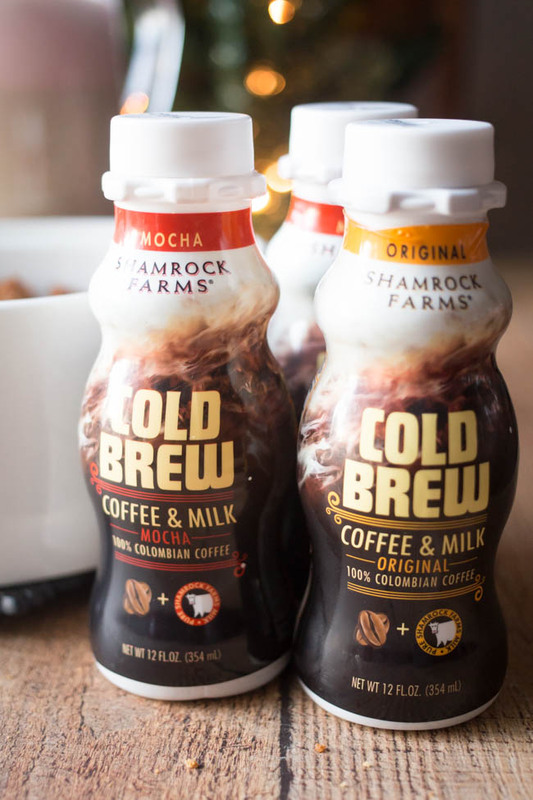 NEW Shamrock Farms Cold Brew Coffee and Milk is smoother and less acidic than regular coffee and has 2X the caffeine of regular coffee. BONUS! It combines 100% Colombian coffee with a touch of real cane sugar and pure, fresh Shamrock Farms milk free of any artificial growth hormones sourced from local farms. The ingredients are simple and artfully crafted to create a silky smooth and slightly sweet taste. And from someone who has been drinking cold brew for a couple of years (and used to make my own) I have to say I’m impressed! Available in Original, Mocha and Vanilla varieties, Shamrock Farms Cold Brew Coffee and Milk is the perfect solution for on-the-go coffee drinkers. 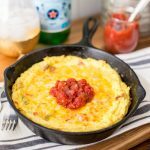 I love how easy it is to grab-and-go on hectic mornings! 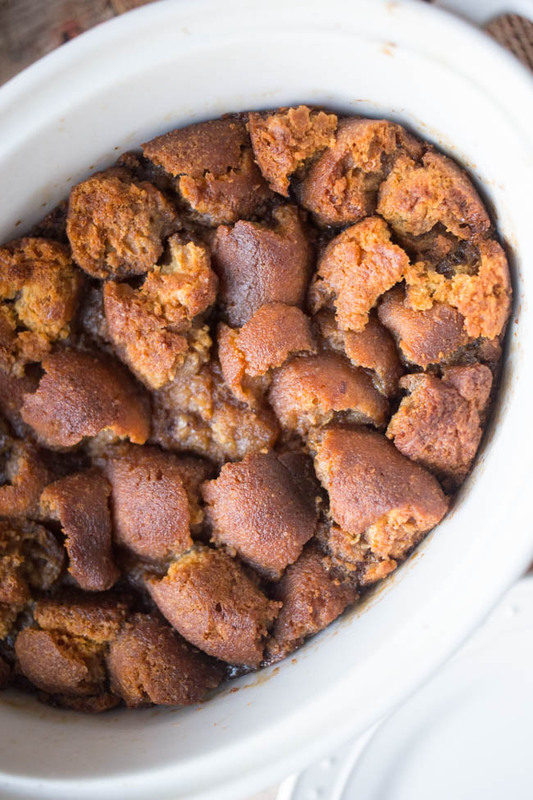 Now, back to this amazing Coffee and Donuts Bread Pudding. Start with stale plain cake donuts. If you don’t have stale donuts, simply pop fresh ones in the oven at 350 until they’re gold and crispy. Break those up into a covered baker. Then in a separate bowl, whisk together your Shamrock Farms Cold Brew Coffee and Milk (any variety will do! ), butter, sugar, eggs, cinnamon and vanilla and pour that over your donuts. Cover and pop into an oven at 350 for about 40 minutes. Remove the lid and bake for another 10-15 minutes until custard is starting to set and the edges are golden! Lightly grease a covered baker with non-stick spray. Break stale donuts into pieces and layer in the baker. In a separate bowl, combine butter, sugar, eggs, Shamrock Farms Cold Brew Coffee and Milk, cinnamon, and vanilla and whisk until combined. Pour the egg mixture evenly over the donuts. Cover the baker with its lid, and bake at 350 degrees for 40 minutes. Then remove the lid and bake for another 15 minutes, or until custard is set and edges of the donuts are golden brown. 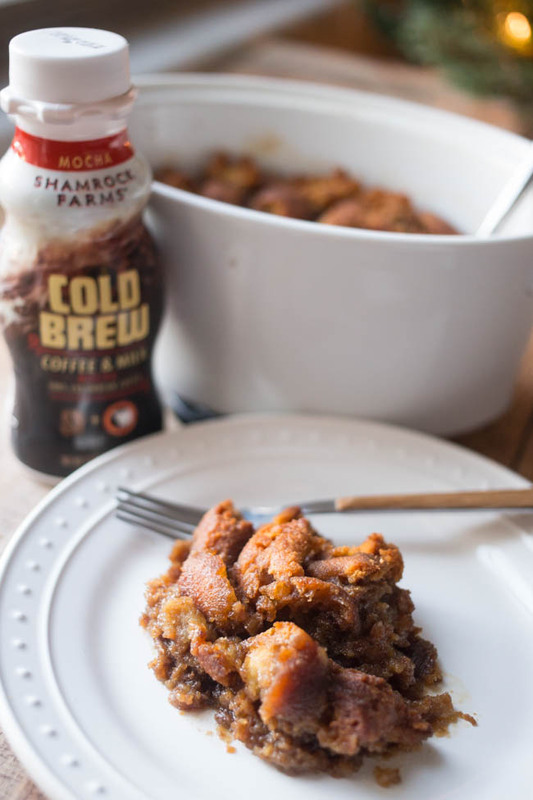 Serve warm with your favorite Shamrock Farms Cold Brew Coffee and Milk! 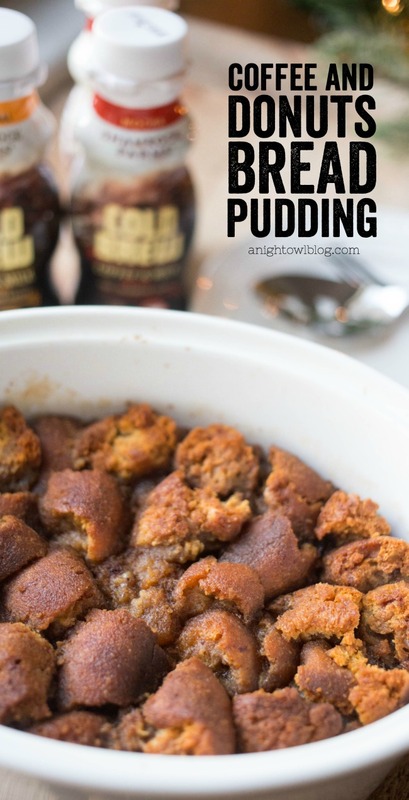 And there you have it – in just a few easy steps you have a Coffee and Donuts Bread Pudding that is fit for any breakfast or brunch! I mean, it’s PERFECT for the weekend. Enjoy it with a nice chilled bottle of your favorite Shamrock Farms Cold Brew Coffee and Milk! 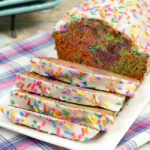 So next time you have stale cake donuts, don’t throw them out! Now you know just what to do with those babies. And if you’re in the Phoenix area, head down to your local Bashas, AJ’s Fine Foods, Safeway, Albertson’s, Sprouts and/or Quik Trip and pick up a pack of NEW Shamrock Farms Cold Brew Coffee and Milk! It’s my new coffee obsession and I know that you’ll love it too! For more news and updates about Shamrock Farms, visit shamrockfarms.net, www.facebook.com/shamrockfarms and follow at @shamrockfarms. stale doughnuts? what is this thing???!!? grins! but really, this sound amazing!! will most certainly give it a try. or maybe several just to make sure I’ve done it correctly!